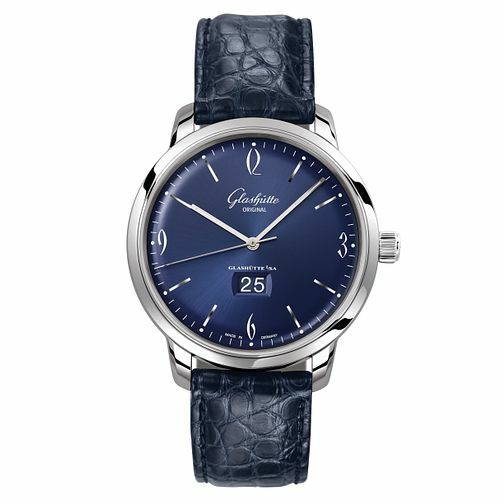 This stunning Glashutte Pano timepiece exudes sartorial elegance fitting for the modern day gentleman. The white is offset by the rose gold outer ring giving this watch an elegant finish. The brown textured leather straps give the watch the final stylish finish. Since 1845, Glashutte Original stands for modern German watchmaking at the highest level of the art.